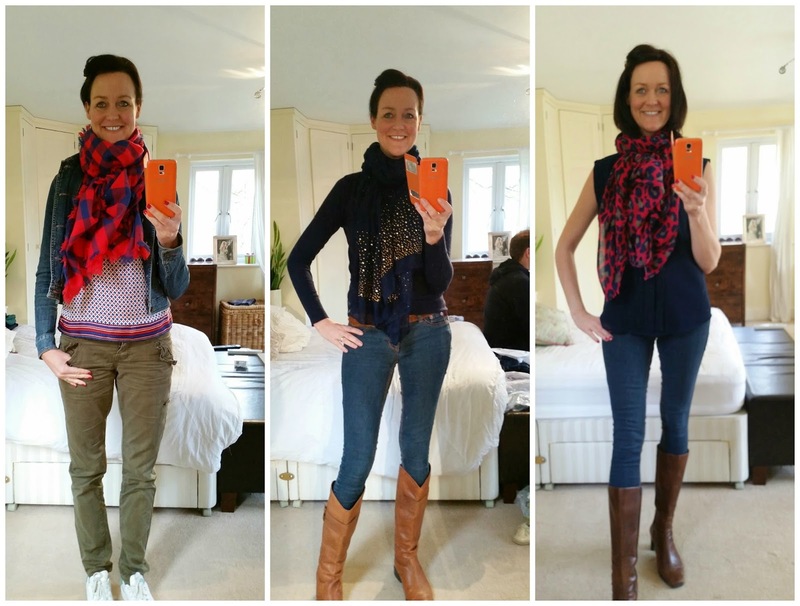 So what did I wear last week? I actually like these pictorial round ups because it shows what I've worn, the colours and the styles. Here's me being stupid (as I am) with the boys in some trousers (that were faulty) from the shop. Do you think I will make it as a vlogger? 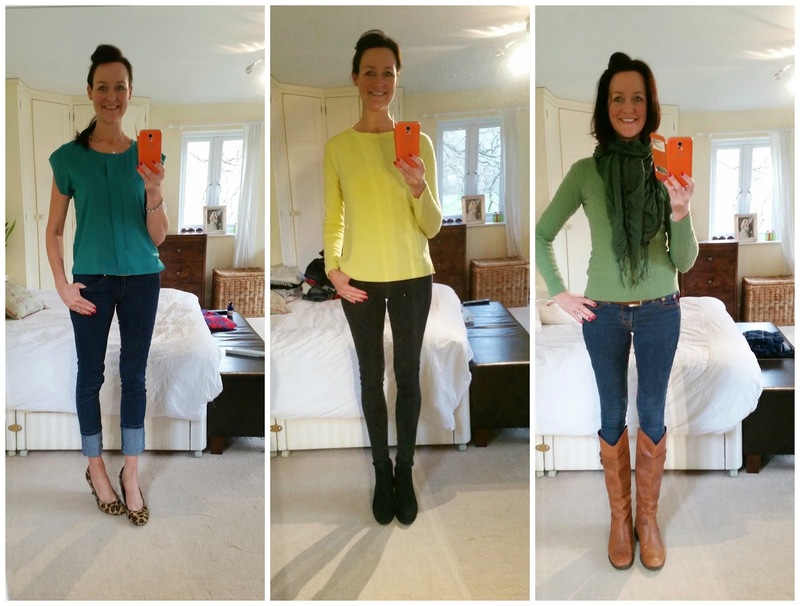 Do you wear lots of colour? Do you think I'll be the next Zoella with my style of vlogging? My belly is NOT so flat!!!! Seriously it's a trickery! That tummy is flat! Compared to mine it's concave! Can we have more vlogs with you dancing please? Pretty please? I honestly didn't mean to get the gut in - but it's only there for a brief show and tell. I have wine handles! I shall not be doing more dancing vlogs no! Can you imagine if I did the 'too much wine' showing off video every week?!!! I am imagining it right now. What does #WIWLT mean? I've been trying to work it out for ages! Taking photos of your outfit every day is a pain but boy it's helpful if you're stuck for inspiration. Your wardrobe is so colourful, as it should be being a clear palette. Always really envy how much colour you wear. And you are crazy!! What I Wore Last Week! Susie So So started it! So many of us have things we can't be bothered to sell via ebay - it was a natural thing to set up! Already sales are being made! Ha ha ha - a vlog about me doing exercise - that's hilarious and it's never going to happen!!! I never knew I wore such colour until I put the pics side by side. Life is invaluable without beauty . For that thank for share this blog with us this blog. Really you a great. See more..